Internet technology grows day by day. Now we can use internet for entertainment, getting help, education purposes, connect with friends, and also we can make an income from internet. Pay to Click jobs are the best and easy way to make a cool Income from internet without any special skills, only an internet activated PC needed. But the main problem is we can find tons of PTC jobs but more than 80% of the job sites are scam. They cheat user, they do not pay any money to users. The other thing is PTC site are slow money earner program, user work long days to get first payments and it very low. So firstly I show you How to make more money from PTC jobs? The best answer is investing little effort to get an attractive income form PTC sites every month. Neobux, Probux, Clicksia, Clicksense, etc. features Micro Jobs such as Signup offer, Survey, Video offers, etc. That offers more income in little time. Neobux is an Elite PTC job site paying over 5 Years without any delay. From Neobux user can get paid to view ads, completing Mini Jobs, Watching videos, Completing free offers, and get chance to win ad grid. Neobux allow join users anywhere in the world. It offers more than 15 guaranteed ads for standard members and gives $0.001 to $0.015 per ad view. It also features micro jobs that pay much more for doing simple jobs. It has instant payout facility when users earn minimum $2 via Paypal, Payza, and Netellar. It also released a new browser plug-in that inform availability of ads to click on your web browser. Probux is the best PTC Job site features 15+ guaranteed ads daily and $0.001 to $0.02 per ads click. It also features Micro Jobs, Free and Premium offers, click grid games, etc. The minimum payout is $5 instantly via Neteller, Paypal, or Payza. It accepted user from anywhere from the world. Upgrade plans enabled. Probux is really a good PTC site founded in the internet. Clixsense also an Elite job site paying over 6 tears and 7 months, it features $0.001 to $0.02 per ads view. From clixsense users can earn real money for doing simple works like visiting sponsor’s website, Completing offers, completing tasks, etc. It restricted some countries to join on their site such as Afghanistan, Niger, China, Iran, Cuba, N. Korea, Iraq, N. Korea, & Vietnam. It offers $8 minimum cash out via Paypal, Payza, and Check. Clicksia is another Elite site paying since 2007. 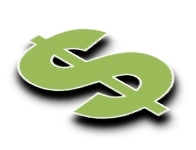 It offers 8+ guaranteed ads daily and gets $0.001 to $0.005 per ad view. Minimum cash out is $1 via Paypal and Payza, waiting time is 7 business day. Clicksia offers real money for viewing ads and completing offers. Also traffic exchange service enabled. The above 4 sites are paying over 5 years without any delay signup with these job sites for free and try to do 8 things on top of this post to make cool income from home without any risk and money loss. Is this post helpful for you please share this! If you know any other paying online jobs publish their details via our comment forum to help others. In reality, reading an article's topic about jobs and Australian Job Online Advertising is a very interesting hobby in life. Every day, I do browsing in the internet to look an interesting topic that tackled about job and I learned a lot. I read your article because I found a very important information and I will share the knowledge I learned here to all my friends. Thank you!